This tour has been designed especially in conjunction with the Swat Valley Guild, over the Easter weekend, giving you the chance to meet the Artisans in the region of Swat, in their ecosystem. You will be able to learn about the full process each time each item goes through to make a bag or shawl. Learn first-hand how the yarning, weaving, dyeing and embroidery process has worked over a hundred years. You can even produce a scarf for yourself if you like and use organic dyes. Reception on arrival at Islamabad International Airport. The group will be greeted by a representative from the Xperience Pakistan team where they will be transferred to the hotel to rest. 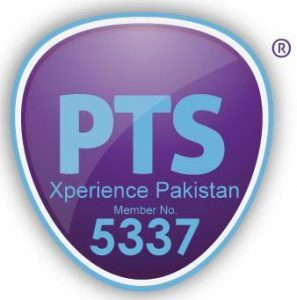 The rest of the day will be at their leisure but the guide from Xperience Pakistan will be to hand should they need any assistance. Depending on when their flight arrives, afternoon orientation trip of Islamabad, visiting Shah Faisal Mosque, SaidPur Village, Shakar puriyan hills and drive to the main boulevard to see the Parliament House, Supreme Court, president house will be organized. Dinner at Monal, not included in the price. Return to Hotel for overnight stay. Morning Visit to Lok Virsa Museum of arts and craft. Following this they will be driven to Swat Valley via Mardan and Malakand Pass, arriving at Saidu Sharif. Check in hotel and overnight stay in Arcadian Swat for the 4 nights stay in Swat. Following breakfast, Swat Valley Guild tour guide will take the winners on a local tour to see Islampur, White palace, highlight the full process from yarn, weaving, dying and embroidery. Xperience Pakistan guide will also accompany to help organize for lunch and dinner, these meals are not included in the price. Workshop to weave their own scarves as well as using the organic dyes that only SVG offers locally and work with the artisans. They will visit the villages that the artisans are from. Continue to work on their scarves in the morning. In the afternoon, subject to time, a visit to the local emerald mines and how the leather shoes are made as well as. Return to Islamabad via Malamjabba, Malakand Pass, and Mardan. Depending on the time, they will be advised on where they can go for shopping. Transfer to airport to connect with onward flight to London. Transportation by fully Air-conditioned latest model. Private Chauffeur driven Toyota Hiace inclusive of taxes. Arcadian hotel will be used in Swat. First class hotel or a Deluxe guesthouse will be provided in Islamabad. Dedicated guide throughout the trip. Any additional excursions given as options. Entry tickets to the museums, which would be around Rs.1000 each. Extra costs incurred due to early or late check in or out. Additional nights, should there be any flight delays or cancellations. Additional night due to early morning arrival.